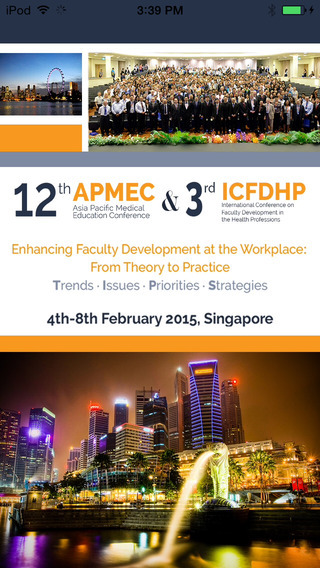 This app is your guide to the 12th Asia Pacific Medical Education Conference (APMEC) and the 3rd International Conference on Faculty Development in the Health Professions (ICFDHP). 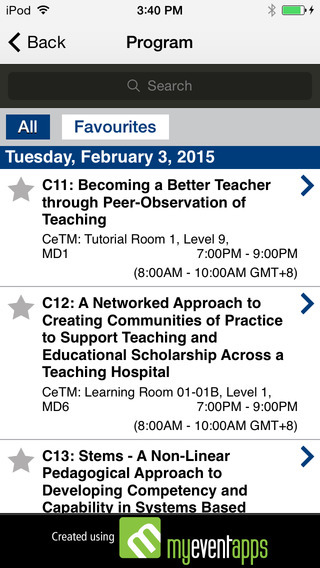 The app will assist you to identify and locate speakers, conference activities and download conference abstracts and the conference program booklet. It will also enable you to get details of the conference venue, shuttle bus schedule, conference exhibitors and the hotels. The FrameIt function will allow participants to take photos and share with other delegates as well as on social media.